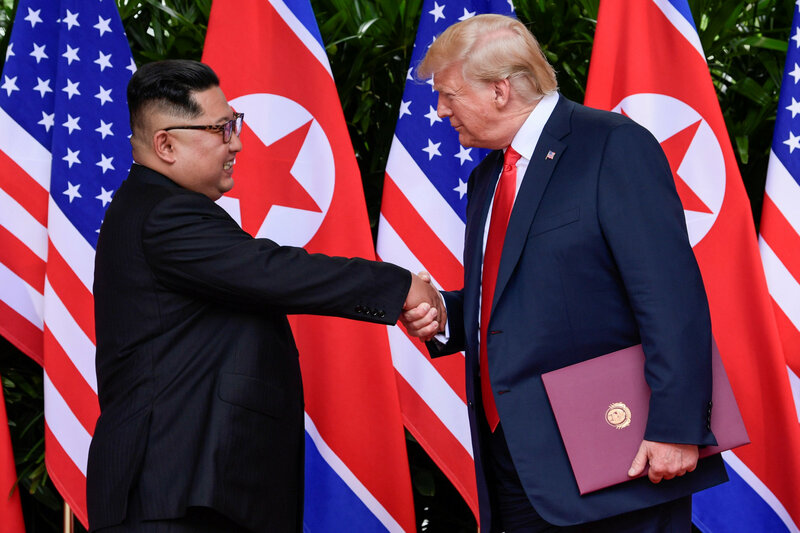 Momentum for a second summit between U.S. President Donald Trump and North Korean leader Kim Jong Un has reportedly gained steam, with a source close to Pyongyang’s position telling CNN that there is a “strong possibility” of another meeting before the year’s end. 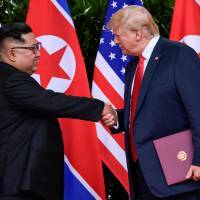 The report Tuesday cited the unidentified official as pointing to the recent exchange of letters between Trump and Kim as a positive sign. Trump received a letter last week from Kim and had U.S. Secretary of State Mike Pompeo deliver a response to North Korea’s foreign minister at the Association of Southeast Asian Nations (ASEAN) meeting Saturday. In confirming that he had received a letter from Kim, Trump on Thursday thanked the North Korean leader for the return of the remains of U.S. soldiers killed in the Korean War and alluded to the possibility of another meeting. White House spokeswoman Sarah Huckabee Sanders has said that no second meeting is “locked in” as a follow-up to the landmark Singapore summit in June, but they remain open to discussions. But doubts have grown in recent weeks over whether the two sides can move toward the goal of denuclearization. Over the weekend, North Korean Foreign Minister Ri Yong Ho called America’s actions since the June 12 Singapore summit “alarming,” highlighting economic sanctions and a lack of a peace treaty to formally end the 1950-53 Korean War as major issues that could stop the nuclear talks in their tracks. Speaking at the ASEAN forum in Singapore over the weekend, the North’s Ri, said his country had taken a series of steps toward denuclearization, including halting nuclear and missile tests, demolishing its underground nuclear test site and dismantling a missile engine test stand. But Ri said that Washington was dragging its feet in taking reciprocal measures to build mutual confidence and improve ties with Pyongyang. Such steps, Ri said, include a easing crippling sanctions and declaring an end to the Korean War, a move that would be seen as a prelude to negotiating a formal peace treaty to replace the armistice. “However, the United States, instead of responding to these measures, is raising its voice louder for maintaining the sanctions against the DPRK and showing the attitude to retreat even from declaring the end of the war — a very basic and primary step for providing peace on the Korean Peninsula,” Ri said, according to an English transcript of his speech, acquired by South Korea’s Yonhap news agency. CNN quoted the unidentified official as characterizing those statements as a “negotiating tactic to put pressure” on the Trump administration ahead of U.S. midterm elections in November. North Korea hopes that Trump and Kim will negotiate denuclearization terms that are more favorable to Pyongyang, the official added. Trump is widely expected to tout his progress on the North Korean issue as a key accomplishment ahead of the elections.